This is the closest to purple that I could find. Not surprising. You are lucky to live where they obviously paint the residential buildings such sumptuous colors. Well found.. Ohh....I want to live there - lovely! Maybe not really purple, but I'm happy to imagine. 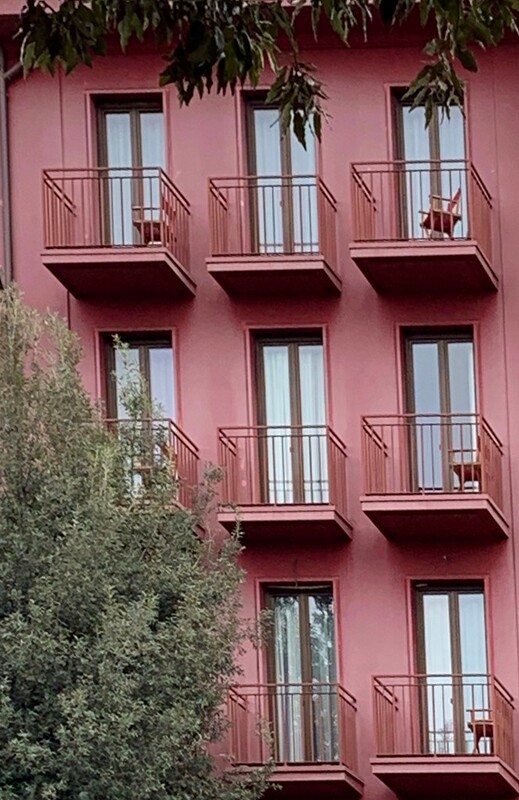 Big ask to find a building painted that colour. And it is all so beautifully matching - even down to the chairs! just a tad more blue in the paint mix and you would have been there! How inconsiderate of the painters not to have obliged. @helenhall you are right Helen, the painters didn’t oblige, nor did I use a little bit of post processing to make it more purple and straight! Thank you for commenting this really bad photo! I don't think you will loose your comments if you just change the date - they carry over with the image. You may need to move it twice - once to another folder while you move the others around and then move it to where you want it.